I’m not sure I would consider myself a wino, but I certainly drink enough wine to know a thing or two about it. I’m not generally snobby when it comes to my libations either. I drink $5 wine on an almost-nightly basis and oftentimes out of mason jars or even — gasp — plastic cups. There is one wine essential, however, that I think is worth a splurge. 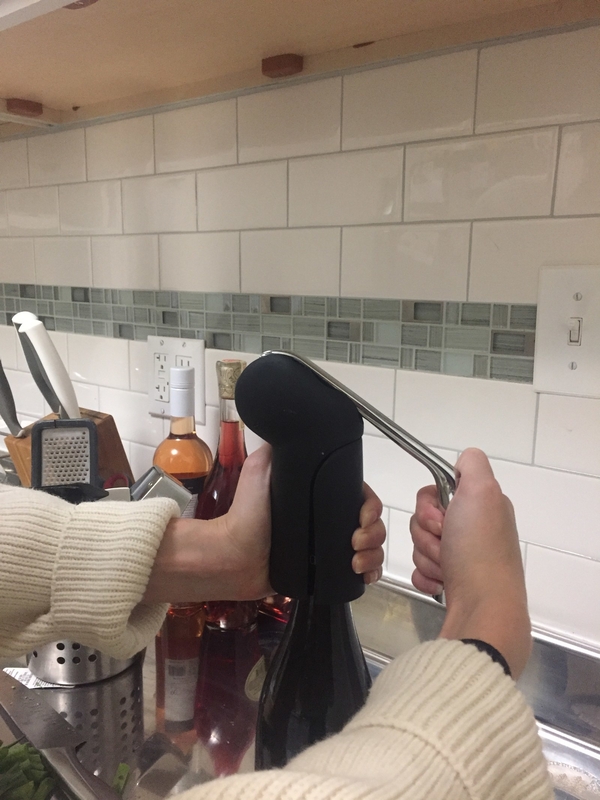 Ladies and gentlemen and wine lovers of all walks, I present to you: the best wine opener ever. I, presumably like you, once used a classic corkscrew for all my bottle-opening needs. But I've racked up many a horror story involving those finicky little devices. On numerous occasions I'd end up with a broken cork, and I can count at least two times when the corkscrew itself broke! Needless to say, unopened wine bottle in tow, panic ensued. Don’t get me wrong — I still think it's essential to have a basic corkscrew on hand for, say, summer park-drinking sessions, but I’m not trying to struggle with my bottle on a nightly basis. So when my parents (and fellow excessive wine drinkers) gifted me this fancy little corkscrew (complete with a foil cutter) one Christmas, I was elated. It’s super easy to use, and it opens a bottle of wine in two seconds flat with very little effort. To pop the cork out of the opener afterward, you simply do the same movement you did to open the bottle. So simple! Bottoms up! 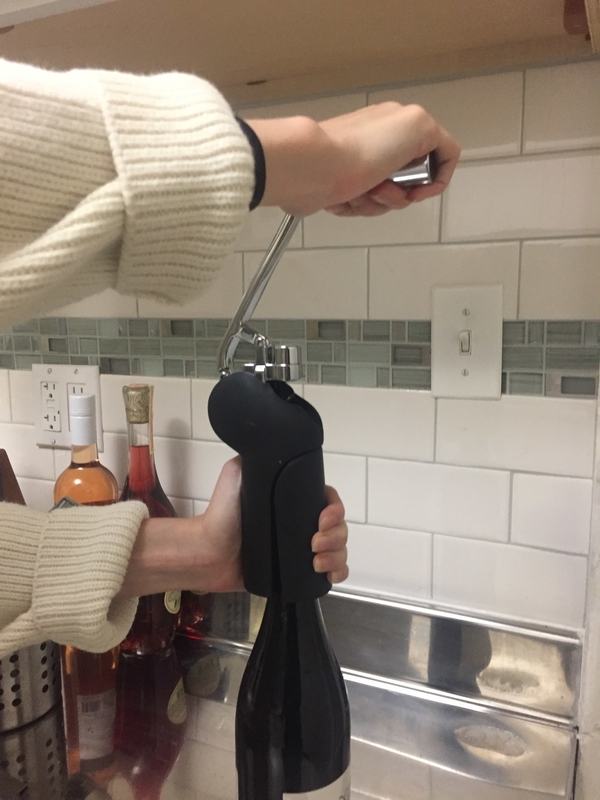 Get the Rabbit Vertical Corkscrew (available in black and gray) from Amazon for $34.39+ or Walmart for $37.58.